Come as a “COUPLE”, Go back as “ONE” ! Re-Kindling the spark of your Honeymoon! Actually Marriage is a wonderful journey between man and woman. It can be FANTASTIC or HELL . . It is all about whether the understanding of the dynamics of a man and woman is clear or not to the couple. 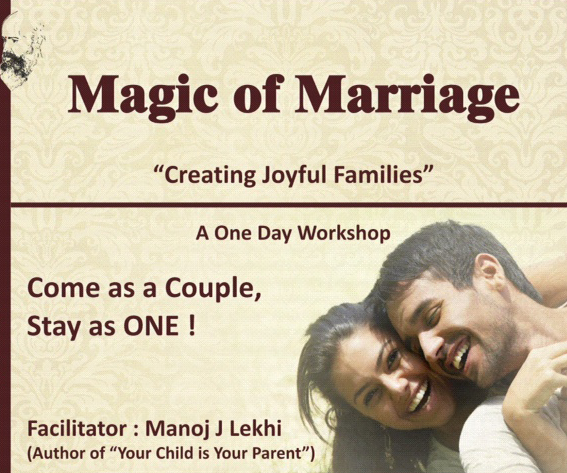 This is very nicely brought about in this workshop and so a transformation automatically happens and one experiences The Magic of Marriage !